Collects Thor: God of Thunder #1-18. A trail of blood consumes Thor's past, present and future! Throughout the ages, gods are vanishing — and Thor must unravel the gruesome mystery of Gorr the God Butcher! In the distant past, Thor discovers a cave that echoes with the cries of tortured gods. 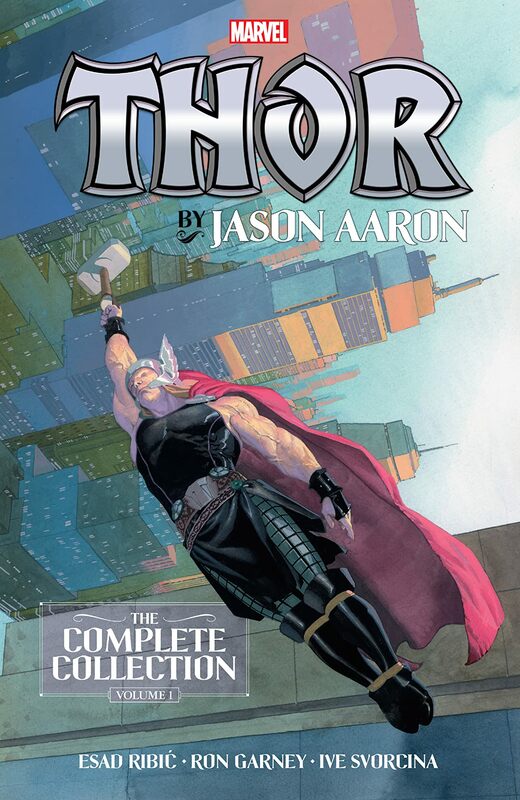 In the present, Thor follows the bloody wake of murdered gods across the depths of space. And millennia from now, the last god-king of Asgard makes his final stand. All three time-bending Thors must unite — but will it all be for naught if the massive Godbomb is triggered? Elsewhere, Malekith the Accursed makes his return! As the former lord of the Dark Elves begins a bloody rampage, Thor must find a new league of allies to aid him! And back on Midgard, what's going on with Dr. Jane Foster?